So, basically what you have to do is think of a problem that a big population is facing (recommended: including you) and then come up with a solution which is easy to implement as well as easy to scale and helps those facing the problem in the best way possible. The reason why it is recommended to have that problem yourself is that it ensures that the problem actually exists and you are not merely making it up in your brain. Because, if you'd work on a solution for a problem that does not exists then without any doubt it'd be a failure. Now, just start observing yourself deeply doing your daily activities and try to figure out that where you faced irritation and thought that this thing could have been better if such a feature or any other thing would have been present in it. or can visit ycombinator.com for expert help! Stay tuned as more such helpful and interesting articles are on their way. You can also suggest me some topics on which you'd like to read. Till then, STAY HUNGRY. STAY FOOLISH. Thanks, Bingo. Your comment means a lot. Please subscribe. Thank you, Sandip. Please subscribe. Beingstartup Are the Best business ideas in 2017.Best platform for startup business ideas, enterprise ideas, small businesses. Thank you for provide the best business ideas. It is very helpful information. Thank you for sharing this great information. 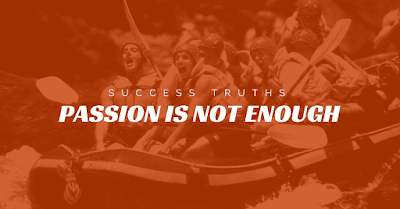 Why being just passionate is not enough? Find your passion! or People with great passion can make the impossible happen. which makes us feel that the only thing we need to turn into next billionaire is 'passion'. But, let me tell you from my experience that passion alone is not enough. The thing you need with passion is 'execution'. If you don't know how to execute then your passion would be of no use. I started learning programming 5 years ago when I was 17. I was extremely passionate about it & used to code all night. Then I came to know about the android development thing and find it really interesting. I started learning it and once I had a good command over it, my passion increased tenfold. I developed my first app named 'ColorMe' and then my second app named 'Every Thing You Want To Know'. Though, these 2 apps were not that much of a use, they gave my passion an enormous amount of boost & then I started searching for problems to solve. 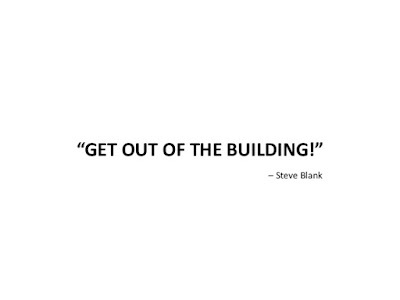 Oh, you have the next big startup idea? Umm... make sure if it is really that big. This certainly has happened with almost every wantrepreneur (wannabe entrepreneur) out there. Every now and then, or in some cases, once in a while we have been struck by an idea which we think would be the next big thing. Though the thought is exhilarating and unavoidable, we can't and shouldn't let ourselves get deceived by our own brain. 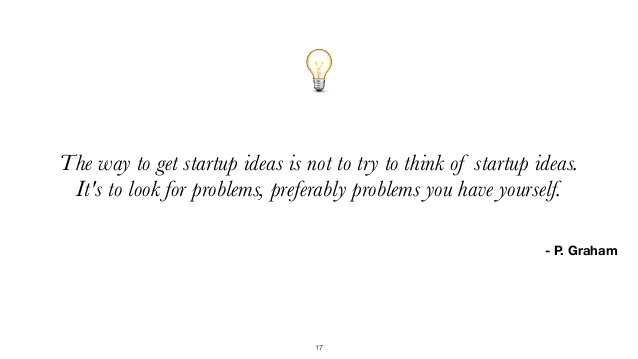 and talk to minimum 100 real people (or your potential customers) and ask them to validate your idea. Ask them everything which comes to your mind related to your idea. Questions like what they think of it, would they use it, how much would they happily pay for it etc.